I used: Miss Elizabeth's cardstock, Making Memories glitter cardstock, Sonburn cardstock, DCWV cardstock, Coluzzle, JustRite stamp, Unity stamp, StazOn jet black, Ink It Up! pink, Stampin' Up circle punch, ribbon. I used: DCWV (Citrus Stack), Ink It Up! black ink, Stampin' Up! 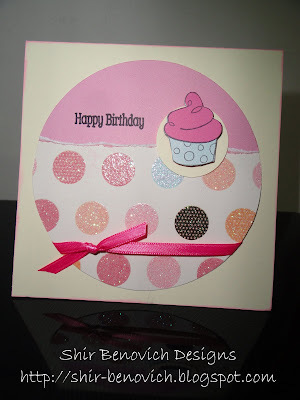 circle punch, Coluzzle, grosgrain ribbons, stapler, Fiskars corner rounder, JustRite Stampers. I love the shape and opening of this mini album. I used pictures taken at the Superland (amusement park in Rishon LeZion) - I took the girls (and my father) in Passover vacation. We stood in very long lines, but we had a good time!! 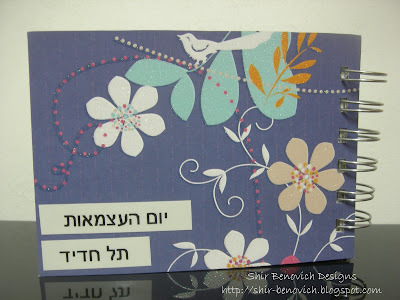 I used: DCWV Patterned papers (Spring Stack), Unity Stamps, StazOn jet black, Ink It Up! black ink, Dew Drops, Fiskars border punch, Coluzzle, button, thread, Sharpie. I used: DCWV cardstock (Citrus Stack), Acrylic Paints, Sharpie. I used: DCWV cardstock. sonburn cardstocks & alpha (transformed to Hebrew letters), Sharpie, Prima flowers & brad. This mini album was inspired (deeply) by Edwige Bufquin - I'm in love with her style!! The pictures were taken at Sde Boker, in a family weekend. I used: Cardstocks from Project 365 (2009), Sharpie, Felt, Fiskars border punch, Making Memories journaling book, Prima flowers, brad, Sakura Glaze white pen, Brother P touch, Sharpie, Zutter Bind It All. 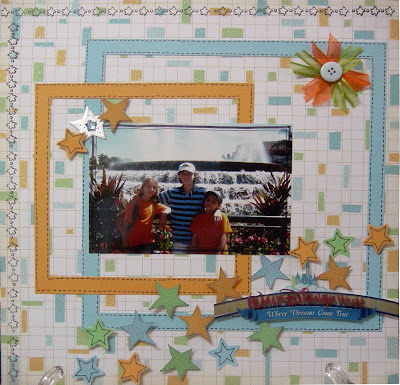 This layout was inspired by Sketch #044 @ Twisted Sketches, I was chosen to be guest designer after submitting Sketch #031. It's an honor to me! The picture belong to my SIL. They were in Disney World in a family vacation. I used: DCWV cardsotcks, JustRiteStampers (stars in border), Unity Stamps, StazOn, Sharpie, unknown star punch, ribbons, Making Memories button. 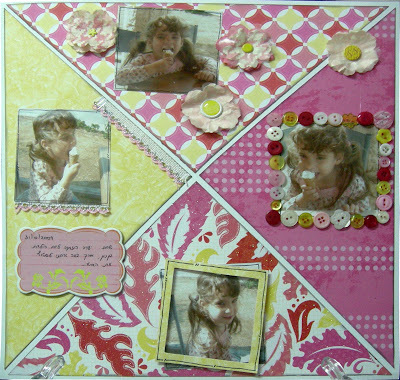 This layout was created after a very long break, mostly due to big mess in my scrapping corner... I'm not very good in keeping my place clean :-( I have two big boxes waiting for me to put everything back in its place. Hate it! 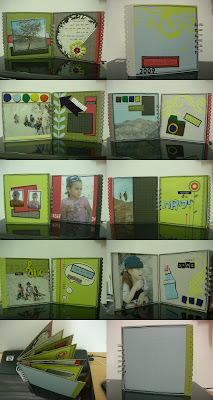 Anyway, the layout was created for Anat's challenge - She called it 4x4: divide your page to 4 parts, anyway you want to... I also used 4 colors: pink, yellow, red & white. I used: DCWV (Spring Glitter Stack), Ink It Up! black ink, Making Memories Paperie Rough (flowers & buttons), Autumn Leaves French Twist chipboard Journaling Panels, brads, ribbon, stapler, sharpie.